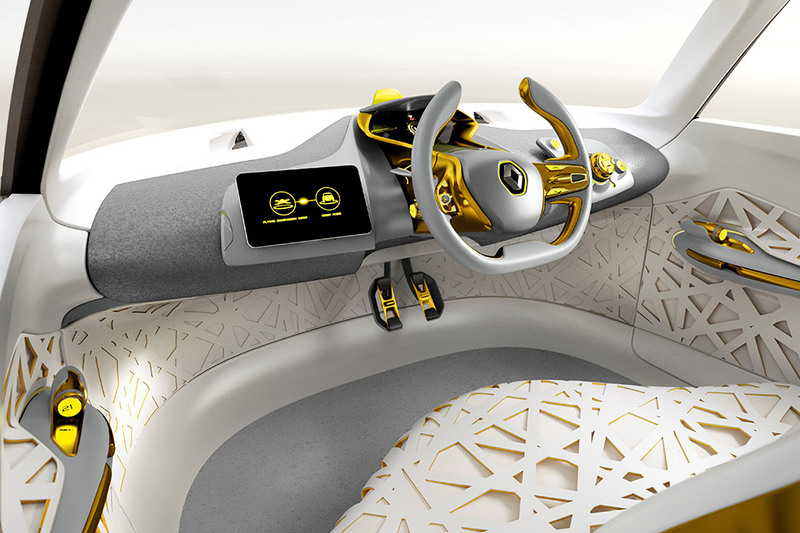 Renault unveiled the highly stylized KWID Concept at the Delhi Auto Show (the car Renault teased a few days ago) and the final product is striking, to say the least. 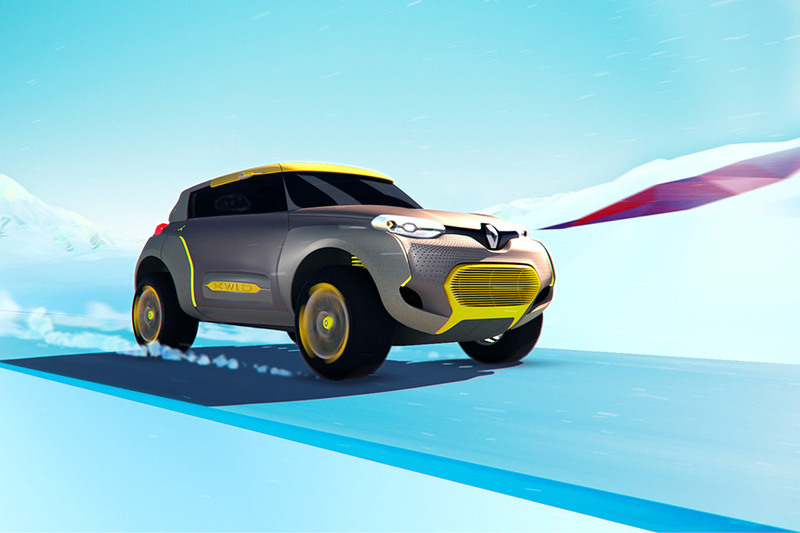 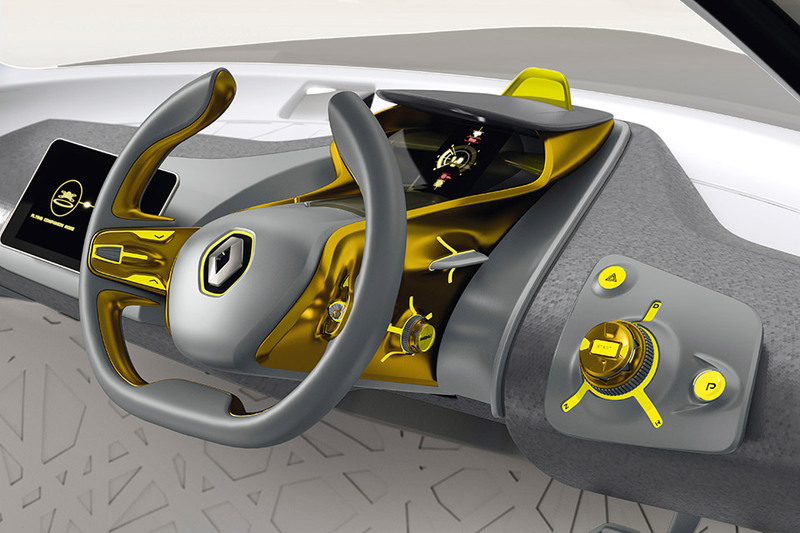 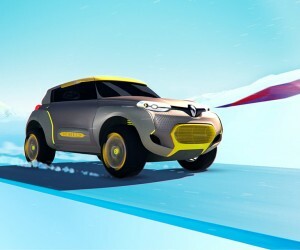 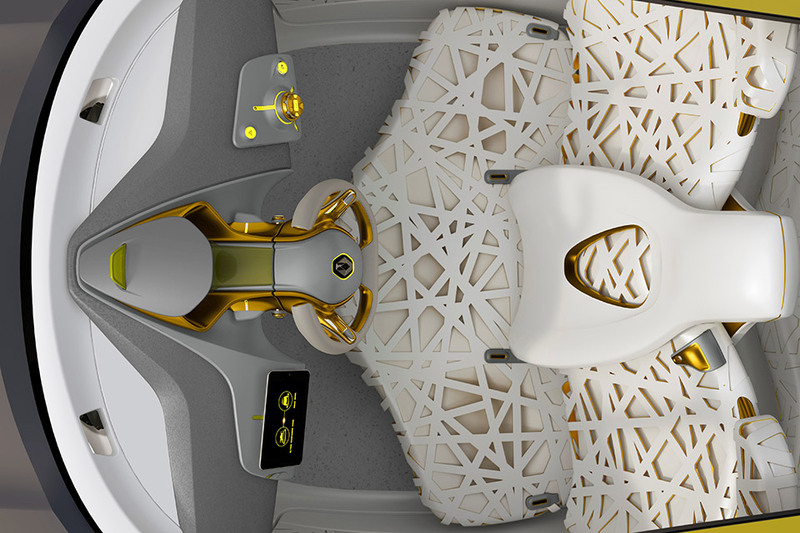 The vehicle is meant to demonstrate Renault’s commitment to new markets and the car’s fun design and tech-driven features reflect the maker’s connection to young customers. 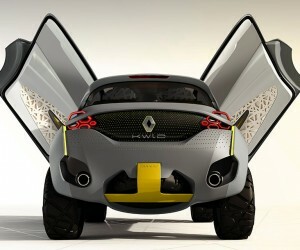 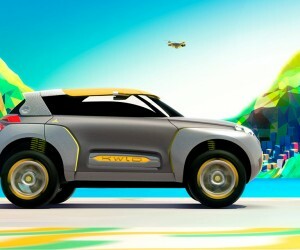 With input from Renault Design India, the car embodies the “explore” portion of Renault’s design strategy. 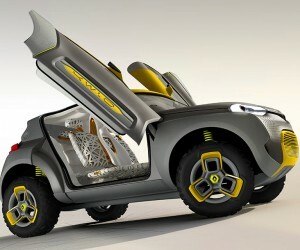 Meant to reflect the looks of an off-road buggy, the car is shown with a two-wheel drive drivetrain. 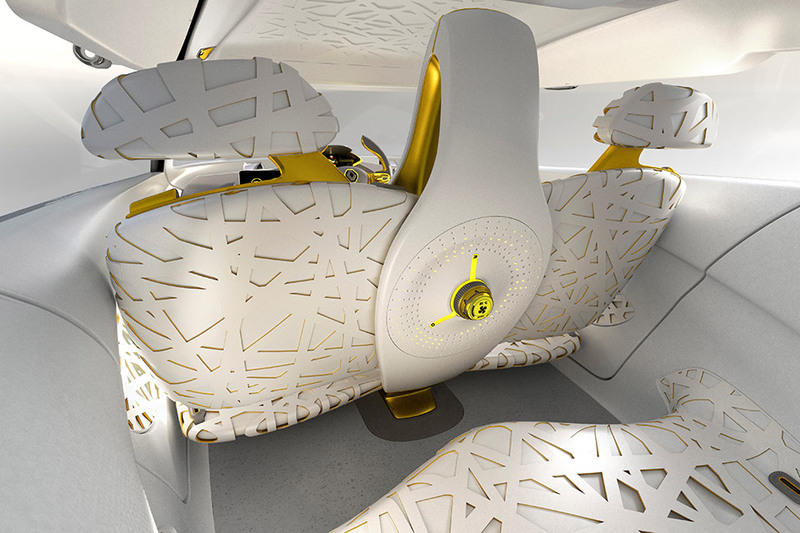 Inside, the riders are cocooned in a web of materials intended to reflect a bird’s nest. 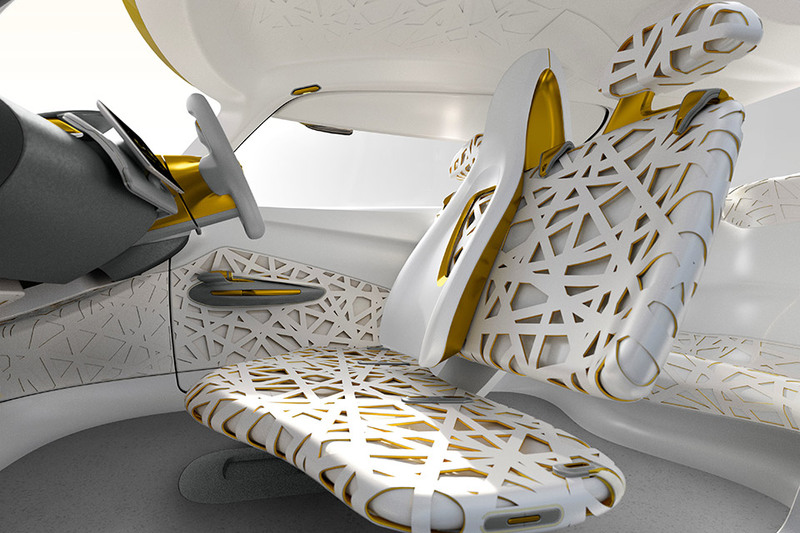 The white seats are made of two-tone elastomer material suspended over a solid base. 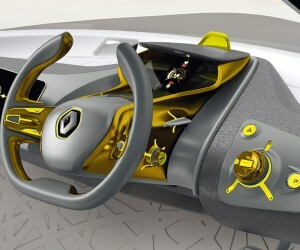 And the dashboard has an integrated tablet for piloting the “Flying Companion” quadrocopter we saw in the teaser video. 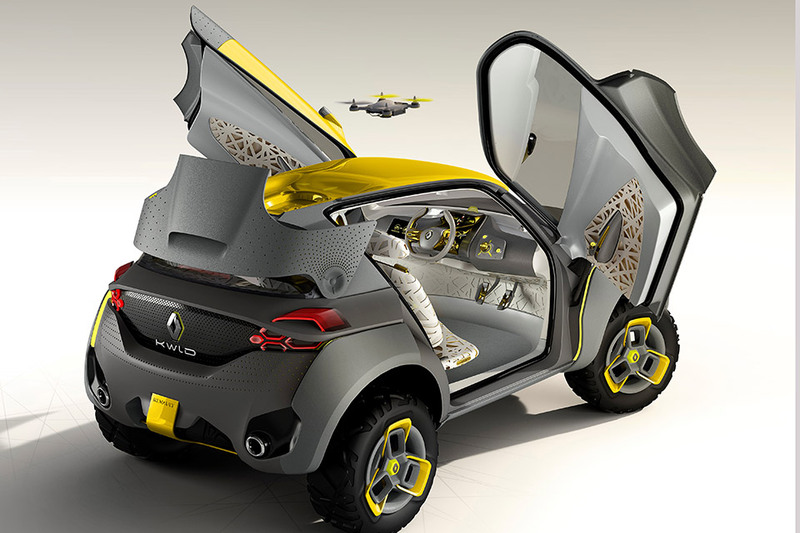 That Flying Companion is a unique feature that has two modes: a manual control mode and a pre-programmed sequence using GPS location. 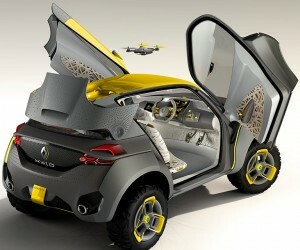 It can be used for many purposes like scouting traffic, taking landscape photos and detecting upcoming obstacles. 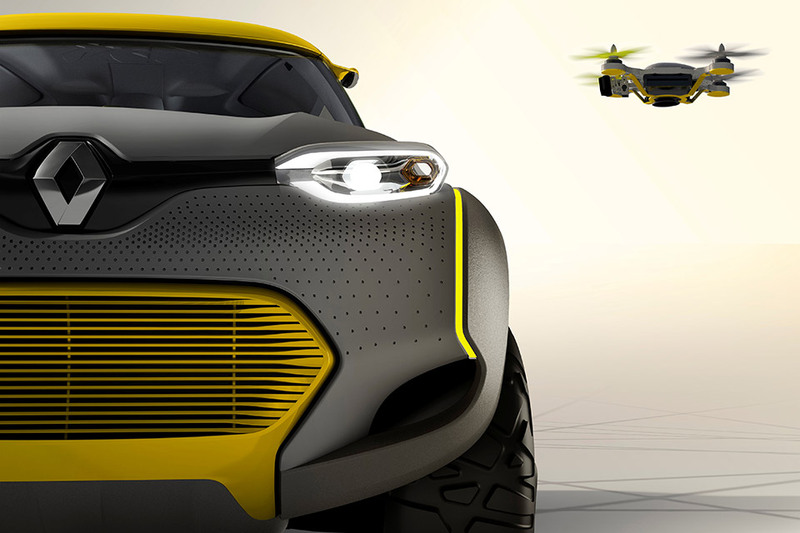 We love the idea of flying our FC on ahead to see why everyone’s stopping during a traffic jam, or maybe just buzzing the neighbor’s barbecue. 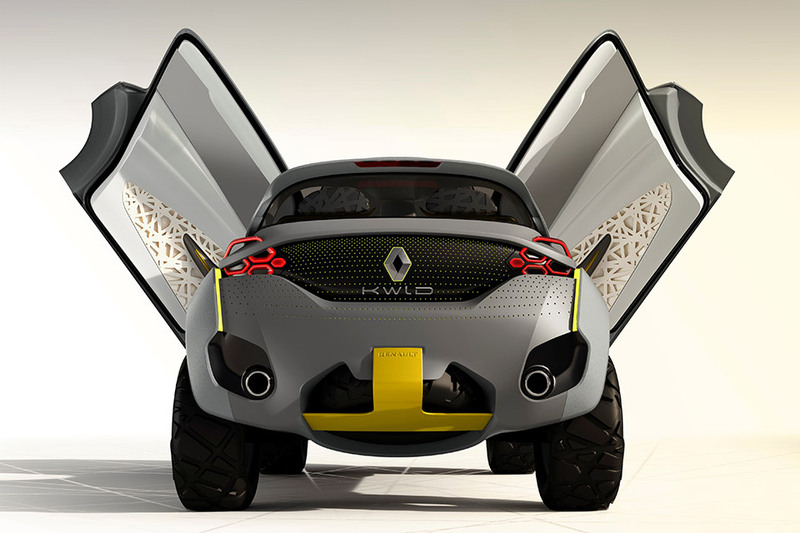 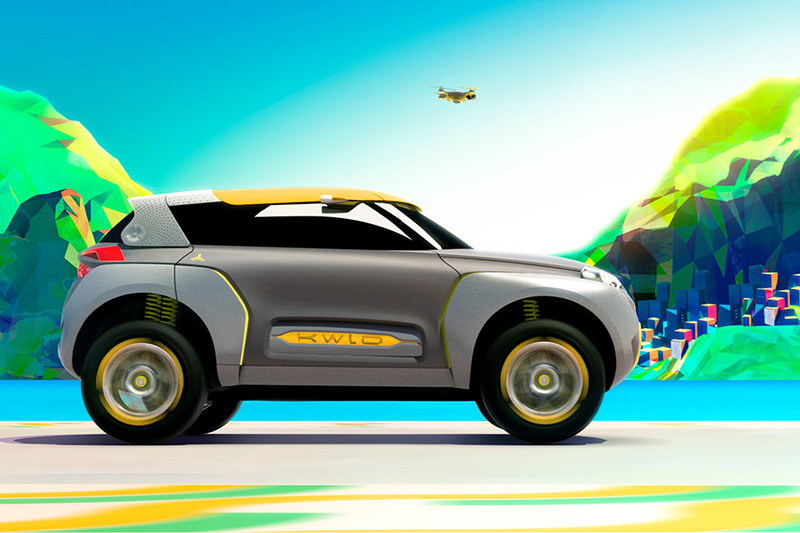 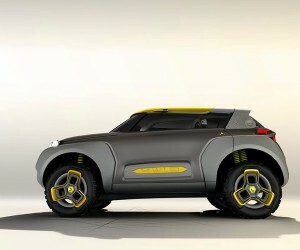 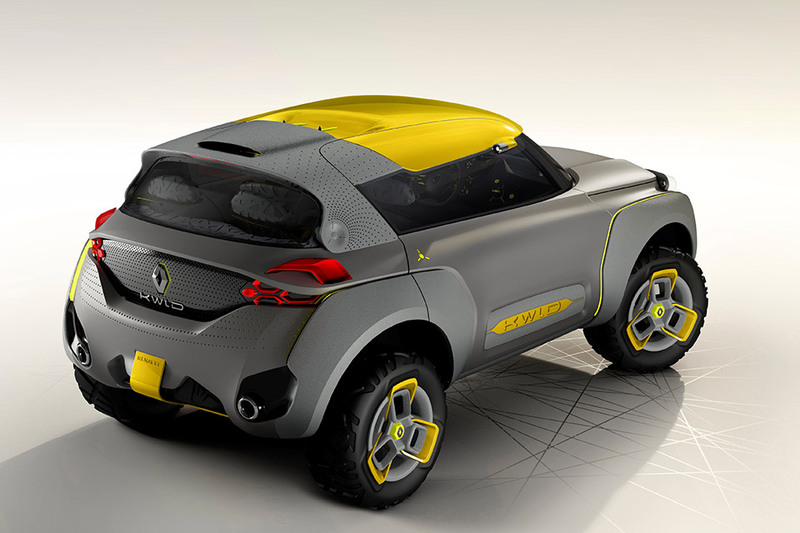 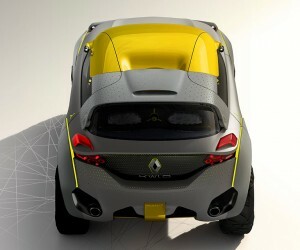 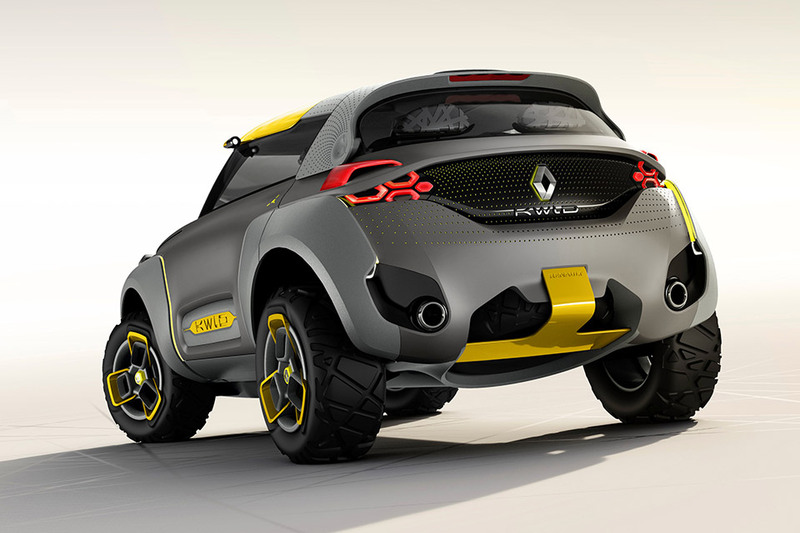 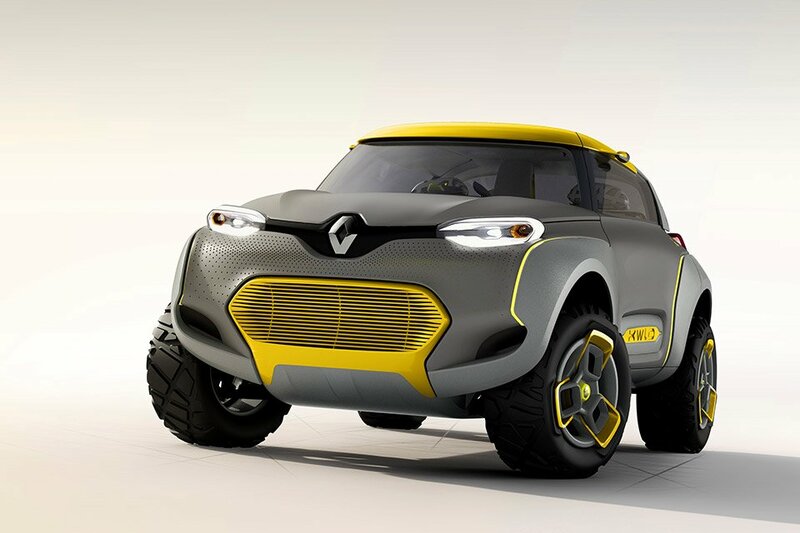 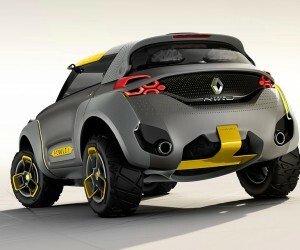 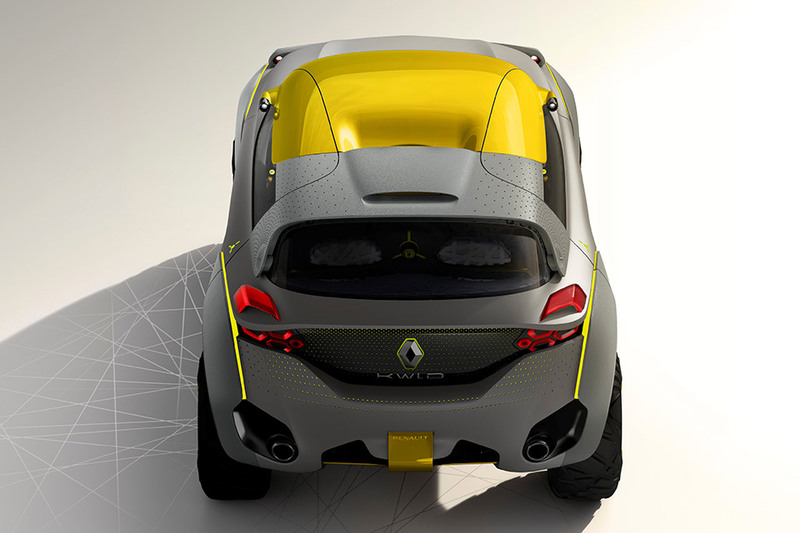 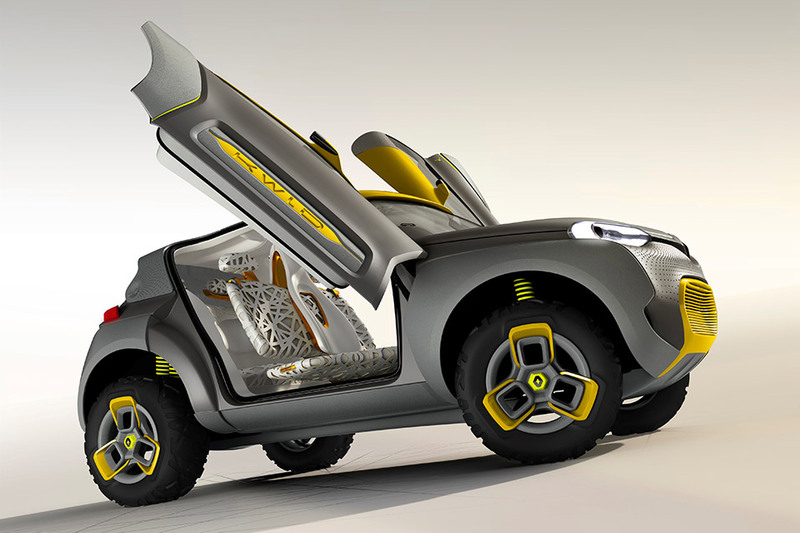 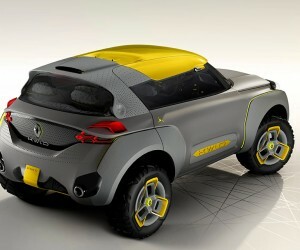 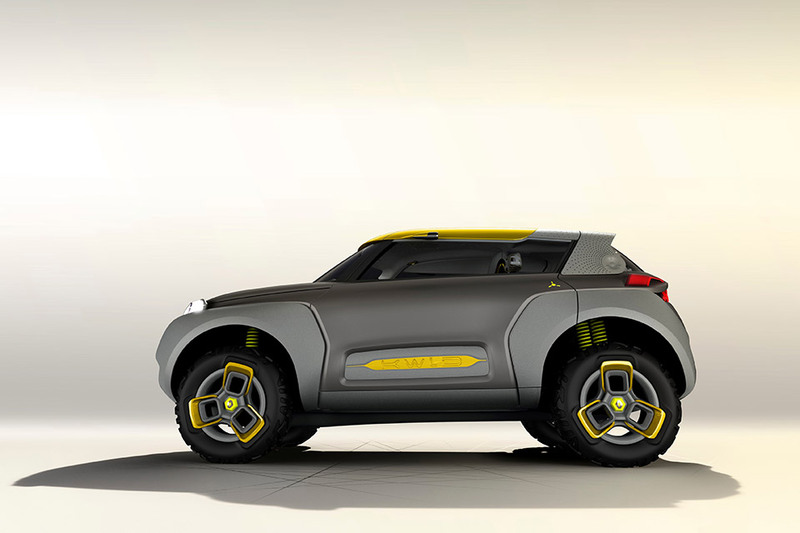 Renault has certainly taken a bold step with the KWID Concept. 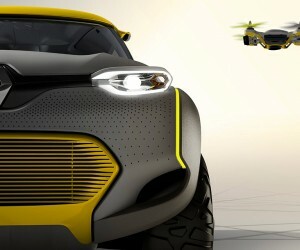 Whether quadcopters become a feature of production cars in the future remains to be seen, but it’s great to see car companies pushing their designs especially when it comes to daily drivers.